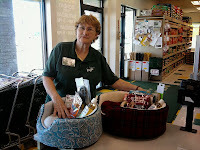 Pawsitive Impressions: NEIGHBORLY Events Galore! Pet Centers are making their mark in their neighborhood by hosting, sponsoring and providing donations to ensure pets in their area are well fed and cared for. Pat on the Back for organizing these NEIGHBORLY and TRUSTWORTHY events. These community partnership are a great way to drive our business by bringing in new neighbors and gaining the loyalty of our current. 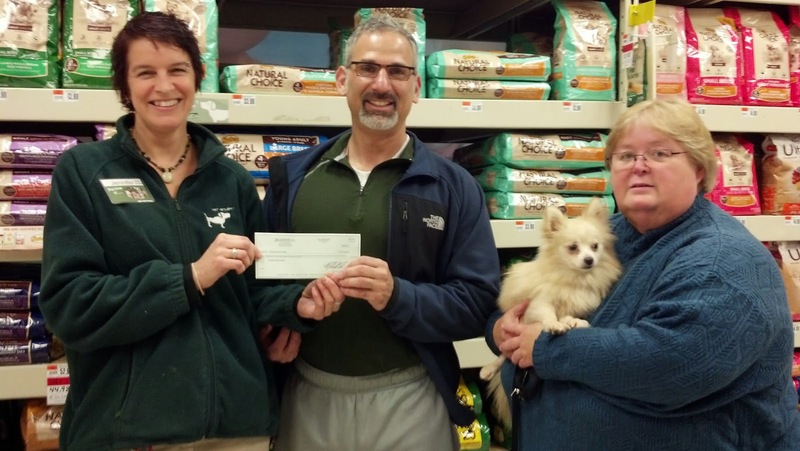 Jen in Portage, MI presenting Director Jack Frost and Board Member Jill Murphy of Animal Rescue Project in Kalamazoo with a check for $2,163.00 in their Adoption Drive. West Springfield, MA (#9015) held a 2-day adoption event that resulted in over $600 to donate to local charities and 2 trucks filled of product to donate! Nichole at #8018, in Goldsboro, NC is feeding Leo, who currently lives with a foster family after being rescued from the local shelter by Diamonds in the Ruff. 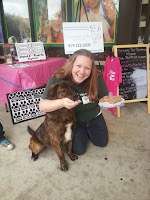 This event raised money and awareness for the local shelter.